Actually, this is a serious problem. In recent years, the bee population has declined by around 95%. In fact, this drop has gotten so bad that bees are now an endangered species. That ends up hurting you by cutting into your diet and your wallet. Thankfully, there are some simple things you can do to help — once you realize how much bees do for you. With fewer bees around, you end up with less food for you. Even cotton depends on bees, and you likely have a lot of cotton clothes at home. But as The Guardian explains, humans aren’t the only animals depending on those crops. Many birds and small mammals need those plants for their food. As these prey animals decrease, the entire food chain suffers. And even though there are other animals that pollinate plants, they don’t do nearly as much as bees. As the food chain suffers, crops are less available. That drives their price up. So even if you find some apples in the grocery store, they might be too expensive to purchase. You don’t want all those foods to disappear or become too costly. But what can one person do? 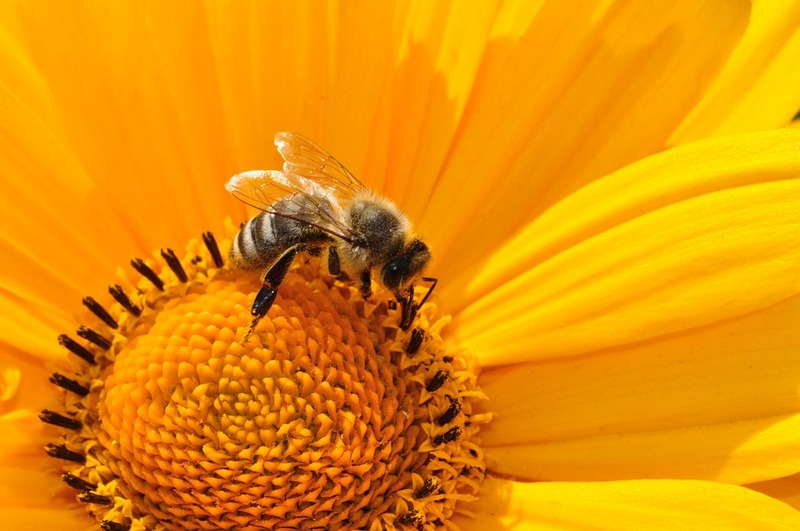 One answer is simple: Create a bee-friendly garden at home. Group the same plants together. Pick plants that have long blooming cycles so there are more flowers for bees. Add a source of water nearby like a bird bath or shallow pool so bees can use the water. Skip all pesticides and herbicides, as they are poisonous to bees as well. Consider adding some flowering weeds like dandelions and clover. Beespotter.org also says to pick plants that bloom at different times of the year. Talk to a garden supply store to learn what would fit in your area, as plants bloom differently depending on the weather and climate. You also want to focus on plants native to your region, as local bees will already know those plants are good for them. If you don’t have a big yard for such a garden, a small one will do the trick as well. Even using some pots or window boxes can give bees the flowers they need to survive. Building a bee-friendly garden is great, but there are other ways you can help the bees survive. CNN explains that buying local, organic fruits and vegetables help by supporting growers who don’t use pesticides that kill bees. And Popular Science reminds us of something simple: Be nice to bees and don’t try to squash them. After all, you depend on them. As you can see, bees are more than just insects. They help pollinate the crops you depend on. That’s why you need to take steps to save the bees, especially building as big a garden that you can fit at home. This is more than just being a good person. This is doing what’s needed to help yourself and your family.